While I was working on my Primate IDE for Monkey language, I developed some interesting solutions for that IDE, so I decided to implements these things in the MaxIDE one. 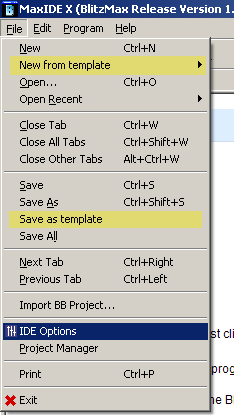 Maybe there are not very ‘big’ improvements, but templates seems interesting even on BlitzMax: a template for MaxGUI, a template for WX, one for a ‘light’ framework supports and so on. There are only minimal clean up (ie: cache files are now under a folder in cfg), there is a log file (like in PrimateIDE) to see if and what error can rise. 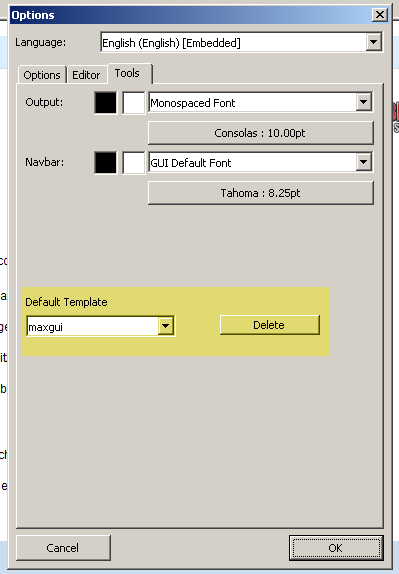 Next Monkey – GUI first test!